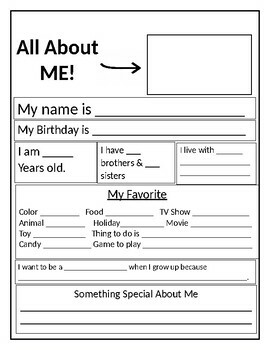 An All About Me Worksheet, asking about life, home living, favorite foods, games, colors, etc. Something you think is special specifically about you. Gives the children a chance to appreciate who they are appreciate and share their differences with the class with favorite photo attached.